On Friday November 9, 2018, Dane Davis found himself at the centre of one of the most bizarre music stories of the year. The band he had joined as touring drummer earlier this year, Threatin, had been accused of faking an entire fanbase on social media ahead of a UK tour. The story went viral after multiple venues posted that no one had turned up to the shows. The band’s leader, Jered Threatin, rapidly became a laughing stock. 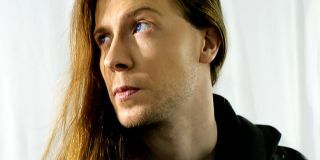 Davis was in Northern Ireland with the rest of Threatin the day the story broke, and he quit the band that evening along with guitarist Joe Prunera and bassist Gavin Carney. The Las Vegas-based musician sounds dazed by both the sudden attention and the fact that he was taken in by the apparent scam himself. But he’s agreed to talk about it because he wants to give his side of the story and distance himself from Jered Threatin. This is what is was like being inside the craziest tour of the year. It’s surreal and I’m trying to wrap my head around it. I can imagine. Let’s go back to the start. How did you meet Jered Threatin and end up joining his band? His management company got hold of me. A girl named Lisa called me and said they found my music on YouTube and that they wanted me to go audition in LA. There were no exact details at that point, just that there's a touring act that's had some hits overseas that would like to have me audition for them for a tour. I saw it as this great opportunity. Did you ever meet Lisa? I only spoke to her on the phone. I spoke with Lisa mainly and also someone named Joe on the phone briefly. I didn't meet anyone in person called Lisa. When they made contact, did you check them out on social media? Where did you meet Jered for the first time? And what were your impressions of him? There was a practice studio that we met up at to do the audition in Los Angeles, down by Hollywood. I didn't know what to really expect from seeing his videos and stuff like that, but I was pleasantly surprised that he seemed very down-to-earth the first time I met him. It was very laid back. We did the audition. They filmed a little bit of it to get like what the image looks like, stuff like that. We had a conversation, he explained some general information to me, asked me certain things. Like, am I person who likes to party a lot or whatever. And I was, like, ‘I have a couple of drinks after the show, but nothing crazy.’ All questions that seemed to be pretty valid for someone trying to hire you for a tour. Was he the only person there when you met him the first time? Any management company or publicist? No, there was Kelsea, who is his wife. I met her briefly and she was there the whole time, but I didn't even like piece it together that they were married or anything. I thought she was just there from the management company. Did you relocate to LA or were you travelling from Vegas to LA to rehearse? Me and Joe both travelled from Vegas to LA. It started around June, and we travelled once a month and then it started being twice a month, right. And then at the very end, a week before we got on tour, we were there a solid week practicing. What was Jered like as a band leader? We got along most of the time. When we were practicing or just having a conversation we got along. There were things that ended up coming up, last minute details about the tour that were a bit unsettling. What do you mean by last minute details? Is that 300 dollars per show or 300 dollars for the whole tour? Later, probably two days before we got on our flight to go to Europe, we found out that $300 was actually just the pay for our food for the whole time. At any point did you think, ‘Something’s a little bit fishy about this’? Originally the tour was supposed to be US and Canada, and then it got changed to Europe, or that’s what we were told at least. As far as everything being faked and all that, I didn't have any suspicion of that whatsoever. But it soon as I as I heard that, a lot of stuff started to make sense. Let’s talk about the tour. You’re getting on the plane to go and play in Europe for the first time. What’s going through your mind? So Jered told you that the tour was sold out? It seemed very exciting. We heard initially that he had hits over in Germany and couple of different other places in Europe. So I was thinking, ‘Maybe he's not really big in the States’, because most people that I knew in Vegas hadn't heard of him, but maybe in Europe, it's a different story. Did your family buy plane tickets for Ireland? So my mom and my brother bought tickets. I’m actually staying with them in Ireland, so I can get back. Tell me about the first night of the tour. Was it obvious that something was wrong at that point? We actually had a couple of days of rest, to check into a hotel room and adjust to traveling and basically just sightsee for a couple days. So those first couple of days were pretty relaxed, other than there was a bit of conflict on the one day. Me and the guitarist, Joe, went down to get some breakfast and didn’t inform them about it. You mean you didn’t inform Jered and Kelsea that you were going for breakfast without them? Yeah, that’s it. Kelsea was playing tour manager. So we got our itinerary a couple days before we went on tour. It was a very strict schedule and there's curfews and stuff like that, which I kind of understood – not how strict it was, but that the fact on show days we have curfews so we can get to sleep and be ready. But I'm honestly not sure why going for breakfast was a problem. The cafe was literally downstairs, right outside the elevators that we took to go to our room. But everyone was still sleeping. So we went downstairs had breakfast and then when we eventually met back up with them, there was just a bit of conflict over that. What exactly happened? Was there a shouting match or did they just tell you not to do it again? What was the first show of the tour like? It was at the Underworld in London. The venue was great, all the staff there, the sound there was awesome, everything was very professional, we had a back room to ourselves. Nothing was really too suspicious about how anything was going, up until we were playing the set. What did you say to him after the show? How did that conversation go? What were the other shows you played on that tour like? Were there people at any of those shows? Did the audience get into double figures at any of those shows? No, it was like, the other bands showed up and brought a few people, but that was the max. As everything was going on it became more and more defeating. I knew every show, no one was going to be there. The band had started talking about it. Everything would be set up to have a good show, but we knew that no one was going to be there. It was always, ‘The promotions company right didn't do their job.’ Jered was saying that he usually expects a bunch of people coming up to him, wanting autographs and stuff. Just a large crowd being there. What was your relationship with Jered like at that point? It was difficult, but the whole reason why I’d been going along with the tour was if I say I’m gonna do something, my word means a lot. So I stick with it. I didn’t want to screw Jered over or the management company or the rest of the band. So it was, like, ‘I’m going to stick to my word, I’m going to finish this.’ But as things went on it became harder and harder to think positively about remaining on tour and playing these shows. The whole time I was trying to be very cordial and keep it light, just to have a positive experience. When was the point that you decided to quit? It was on Friday, as soon as we got to Ireland. We took the ferry over to Ireland – it was maybe a two hour ride. It was all great, it was fun, and then my phone got signal and we got off the ferry and I got a couple of messages from people saying, ‘Sorry to hear about the scam.‘ Someone sent me an article, saying I should read this. Did you confront Jered about it? No. I'm the type of person who really likes to think before I act out. So I just started communicating with people trying to get all the facts I could. Everyone who's messaging me, I was talking with them about it during like our car ride to the place that we were staying. I was just trying to gather information piece it all together before anything was said. We had started sort of just texting back and forth between the three of us, Joe, Gavin and me, just trying to figure out what to do with it. Very quickly me and Joe said, ‘we want to get out of here, and we’re gonna do it tonight.’ The reason why I didn’t confront Jered about it until the very last minute was simply because we had so much stuff with us, equipment and things like that – I wanted to make sure we could get it out of there. When you did confront him? How did that go down? I was supposed to hang out with my family on Friday night, have dinner with them, just have fun. That was two days before our show. I said to her, ‘I’m going to play this off as going to hang out with the guys for a little bit, not mentioning anything to Jered or Kelsea, but when you guys come pick me up, I’m going to take half my stuff with me so we can come back later and pick up the other half and also get Joe and Gavin out of the situation as well.’ I didn’t want to leave them by themselves in a country they hadn’t been to, with no family and all of that. Jered and Kelsea started talking with the band: ‘Should we cancel or should we not cancel the tour?’ Joe and Gavin to texted me and said, ‘Maybe you just want to come back and have Jered do the talking.' So that's what I did. I went back. Did you ask him directly whether the stories were true, and whether he’d faked the band’s fanbase? No, I wanted to get out of there with minimal conflict. He kept saying the promotions company screwed up, it wasn’t his fault, stuff like that. So he was still blaming it on the promotion companies? What sort of mood was he in? He’s a little bit hard to read him at times but he was more frantic than usual about the whole thing. He said, ‘I don’t know what to do, I have to think about this and talk to the label and the management company’, stuff like that. What about you? What was is like being in the centre of it all? How did you feel? It’s crazy. Just how much it’s blown up. There’s YouTubers that I watch on a regular basis talking about it. It still feels surreal that it happened. I don’t think anything’s calmed down enough for me to say, ‘This is how I feel about it.’ I was mainly just worried at the time that I don’t want people to think that I did any of this, or Joe or Gavin did any of this. Do you think it’s been blown out of proportion a little? Venues maybe lost money, but nobody got hurt. It’s kind of hard to say. It’s just crazy that it’s had so much. But at the same time, when was the last time something like this happened? Yeah. He’s paid for all of this – or someone’s paid for all of this, I have no idea. We were really separate from all the organising on this tour. Whenever we’d be around him, it would either be casual conversations, just hanging out, or practicing. Well, it seems to have made the whole thing end up the wrong way. I have no idea what the motivation was. I can just say that neither Joe, Gavin or myself were trying to use any kind of deception to get famous from this. I just looked at it professionally, so that if anyone else wants me on tour I can say that I’ve had that experience. It was something to put on your resume, basically. Have you spoken to Jered since you quit? No. As far as I know Jered is being pretty quiet with everyone. Why do you think he did it? What were his reasons for doing all this? It's so hard to say. I do think that he wanted this tour to be successful. Whether it was just him, or whether there were people behind him organising all this, he wanted the tour to be successful and to promote his band and his music. I think he genuinely thought it could happen and that there wouldn’t be any backlash if he did orchestrate a lot of this stuff. But that’s just speculation. I can’t say for sure. I honestly don't know how to feel right now. I don't even know what's true, what’s false. I'm in the same boat as everyone else on this, and Joe and Gavin are as well. We're still in shock. Have you lost money on this? Has there been a financial cost for you? Absolutely. Travelling back and forth from Vegas to LA for practice, that was all on me. The $300 basically lasted two weeks, so I started using a credit card to pay for food. Then I’m getting my own ticket back home. If you could speak to Jered right now, what would you say to him? I don't even know. Right now, I don’t really want to speak to him and be involved in that situation. I just want clear this up. We had no idea about any of this. It’s been hard to keep positive about the situation, but at the same time it’s really motivated me to get back to work on my stuff. I’d already planned on releasing an album of under my name, Dane Davis, before I took this whole thing on, and that’s been pushed to the side a bit. So when I get back to Vegas, it’s down to recording, mixing, stuff like that. After I get the album out, I’m going to be looking for a band and changing the name. And I’m going to go on tour.